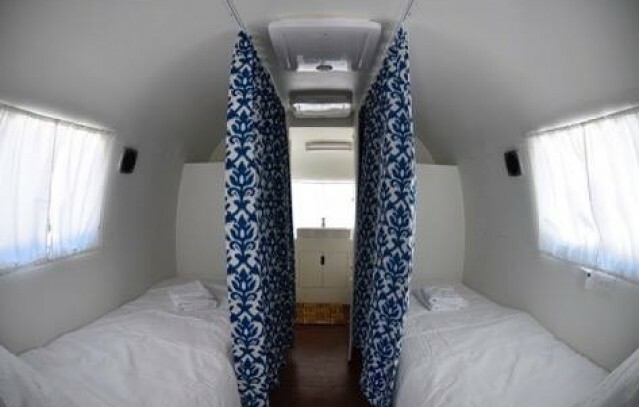 Maximum number of people per Airstream is 4. Please book another one if more people are coming with you. These iconic, refurbished trailers are a masterpiece in design - exciting, inspiring, and the absolute ultimate in cool and comfort. 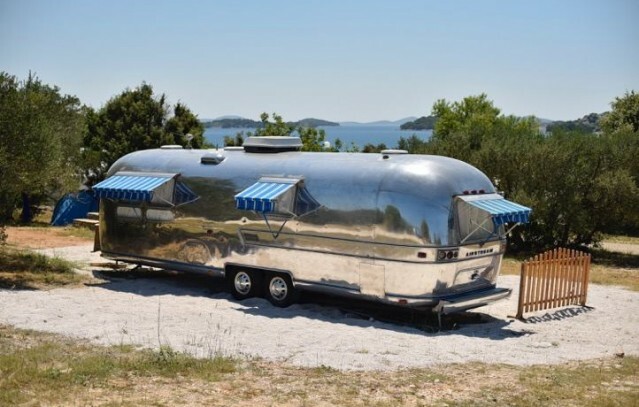 Arriving from the USA, these shiny aluminium trailers can each sleep 4 people. 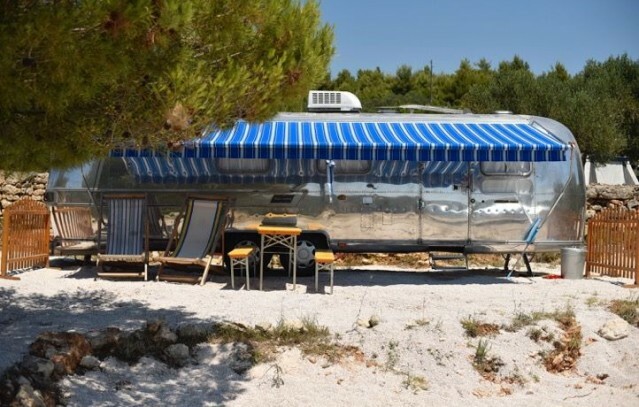 They have their own capsule shower & WC and are air-conditioned, and each airstream has got its own kitchenette, which includes a fridge to keep your beverages perfectly chilled. 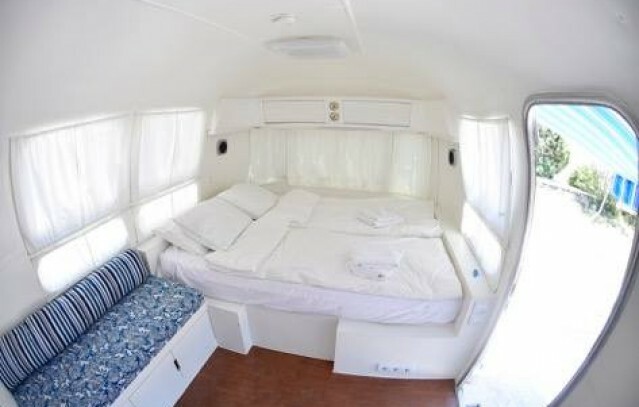 The price of an airstream is 130.00 EUR per day - booking fee & tourist tax included.